Who is Dr. Rodney Malisos? Dr. Rodney Malisos moved from a small town of 1,700 people in 1992 to Kansas City, where he attended the University of Missouri – Kansas City School of Medicine. He preferred an intense six-year combined Bachelor of Arts and Doctor of Medicine degree program instead of the longer eight-year traditional route. After he graduated in 1998, he attended the family practice residency program at Trinity Lutheran Hospital. Dr. Malisos had the opportunity to take month-long rotations with multiple Board-Certified specialists, including those in the fields of Cardiology, Dermatology, Gastroenterology, Geriatrics, Infectious Disease, Nephrology, Obstetrics/Gynecology, Oncology, Ophthalmology, Otolaryngology, Pediatrics, Podiatry, Pulmonology, and others. Where is Dr. Malisos now? Dr. Malisos, M.D. currently works at Liberty Medical Center in Liberty, MO. How did the book of health get started? 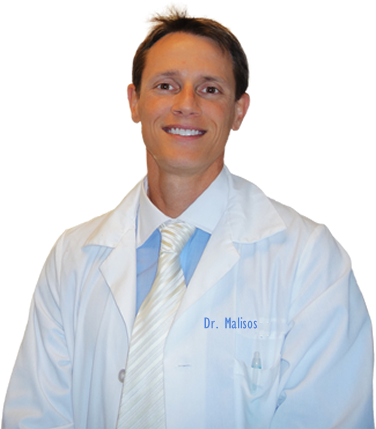 Dr. Malisos is particularly interested in Weight Management and Lifestyle Modification for Health. he strives to keep all his patients off prescription medication, believing the best medicine is no medicine at all… He keeps up-to-date with the most current advances in medicine striving to continuously improve his medical knowledge and the care of his patients. He regularly works on Continuing Medical Education activities and periodically attends CME seminars across the country and around the world.